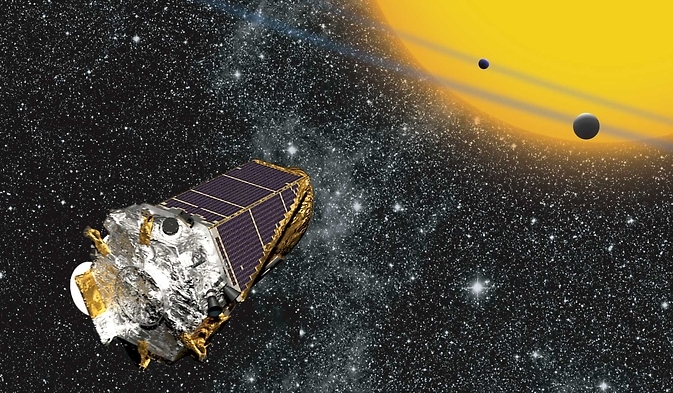 April 23, 2016 – The Kepler spacecraft has been recovered and is back on the job as the K2 mission searching for exoplanets—planets beyond our solar system. The spacecraft is now ready for science operations, officially starting K2’s new gravitational microlensing campaign, known as Campaign 9 or C9. The team began the process of returning the spacecraft to science late on Tuesday. The process involved a succession of steps over the course of the next two days. The pointing tables and science targets — instructions that tell the spacecraft where to look and at what — were reloaded and confirmed, onboard logs and counters were reset and a new command sequence was created, tested and uploaded to account for the late start of the campaign. During NASA’s Deep Space Network (DSN) contact with the spacecraft Thursday, flight operations engineers at Ball Aerospace and the Laboratory for Atmospheric and Space Physics (LASP) at the University of Colorado, both located in Boulder, turned the spacecraft to point the telescope towards the center of the Milky Way galaxy to start collecting data for C9. The K2 microlensing team and the ground-based observatories collaborating on C9’s global experiment in exoplanet observation are searching through the collected data from the ground telescopes for possible events suitable for observations on larger telescopes, such as the 10-meter telescopes at the W. M. Keck Observatory atop Mauna Kea in Hawaii. During the three-day campaign break, beginning on May 24, data accumulated to that point will be downlinked from the spacecraft to Earth. Shortly thereafter, the scientists will have their first chance to see K2’s view of the same events seen on the ground. The C9 observing period will conclude on July 1, when the galactic center is no longer in view from the vantage point of the spacecraft. K2 will then begin Campaign 10, which will proceed to investigate an entirely new set of interesting astrophysical targets. The cause of the anomaly, first reported on April 8, remains under investigation. The nature of the problem has indications of a transient event, which triggered a barrage of false alarms that eventually overwhelmed the system, placing Kepler in Emergency Mode. Power-cycling the onboard computers and subsystems appears to have cleared the problem. We’ve returned to science data collection while the investigation proceeds.